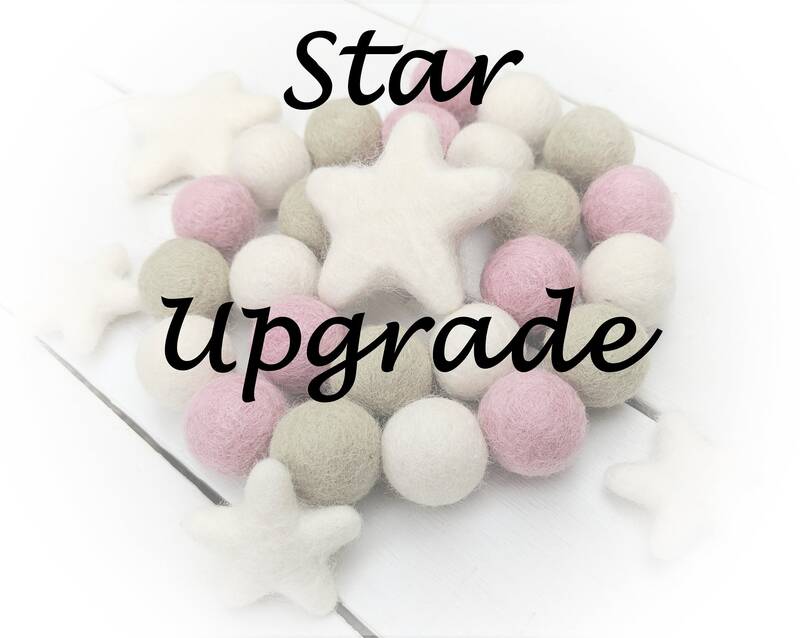 By purchasing this upgrade, you replace one small star (3-4cm) with one medium star (6-7 cm). QUALITY is extremely important for us. 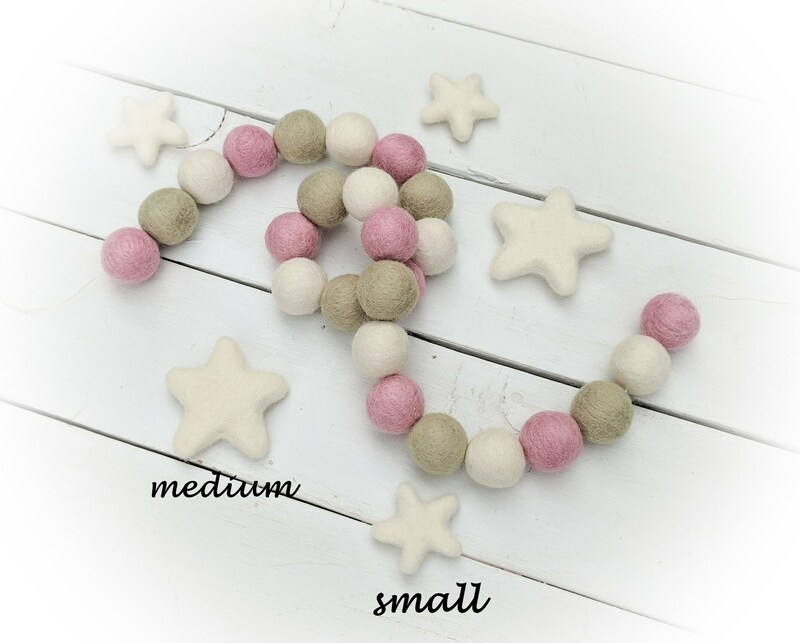 We use high quality wool felt for all of our products. The balls are made of 100% wool and are felted in Nepal by a certified fair trade company that uses a specific dye which contains no toxins.